Ekaterina Makarova takes her second consecutive title in South Africa. 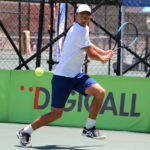 Toby Martin captured his first professional singles title, winning the Digicall Futures, the second ITF Pro Circuit event of the season held at the Maties Tennis Club in Stellenbosch, South Africa. The 25-year-old from Great Britain fought past US-American Connor Farren 7-5, 7-6(5) in Sunday’s final. Martin, who beat No. 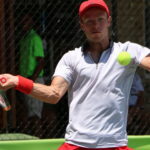 2 seed Nicolaas Scholtz and last week’s runner-up Sebastian Prechtel en route to the title match, fired 10 aces and broke his opponent’s serve five times to prevail after two hours and five minutes. 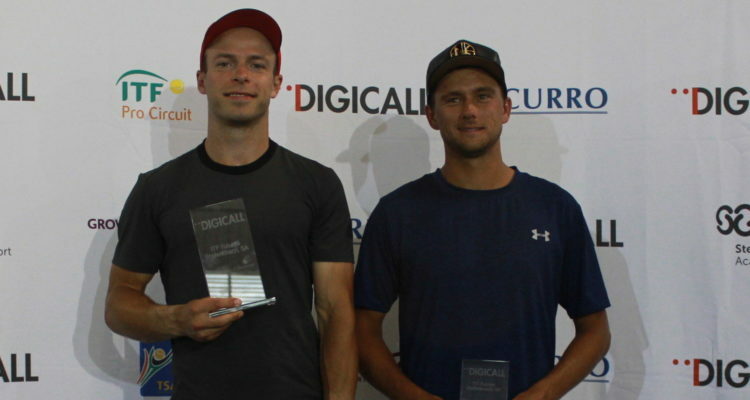 After lifting five ITF Pro Circuit doubles titles, 25-year-old Martin lifted his first singles trophy. He earns $2,160 in prize money as well as 18 ATP-Ranking points. Earlier on Sunday, Ekaterina Makarova continued her great run of success in South Africa by clinching her second consecutive title. The No. 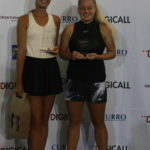 3 seed from Russia beat unseeded Briton Alice Gillan in the final 6-2, 6-2. Makarova didn’t drop a set during the last two weeks. “I am very happy to win another tournament. I have been playing some good tennis and it’s nice to keep the level up for a few weeks in a row. It wasn’t easy out there, but I managed to win the important points,” she said. 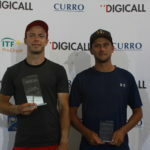 This entry was posted in ITF World Tennis Tour, ITF World Tennis Tour News and tagged Alice Gillan, Connor Farren, Digicall Futures, Ekaterina Makarova, ITF Pro Circuit, Stellenbosch, Toby Martin.